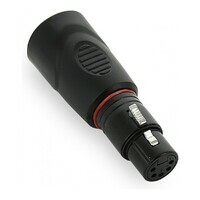 Soundking CXA series adapters are highly useful to make low cost DMX cables using Cat5 cables. 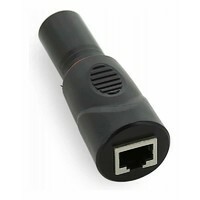 Use different adapters to convert male or female 5-pin DMX512 XLR connections with RJ45 ethernet cables. The CXA020 converts a 5 Pin XLR Female to RJ45. 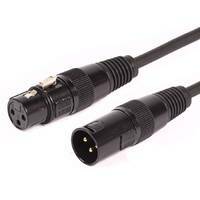 Soundking CXA series adapters are highly useful to make low cost DMX cables using Cat5 cables. 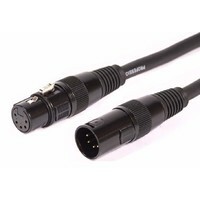 Use different 5-pin adapters and SWAMP cables to convert male or female 3 or 5 pin DMX512 XLR connections with RJ45 ethernet cables. The CXA020 converts a 5 Pin XLR Female to RJ45. 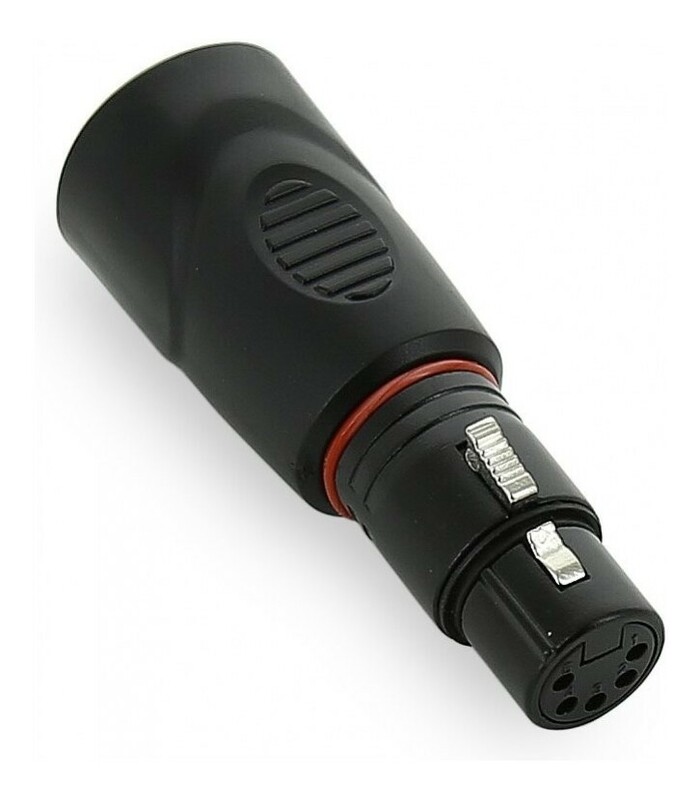 By using DMX XLR to RJ45 adapters, you can make many variations of DMX cables very quickly to suit your individual needs. 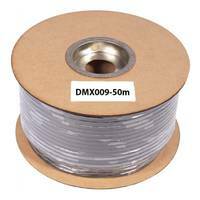 Why not use different coloured Cat5 cables and varied lengths, 3-pin or 5-pin. 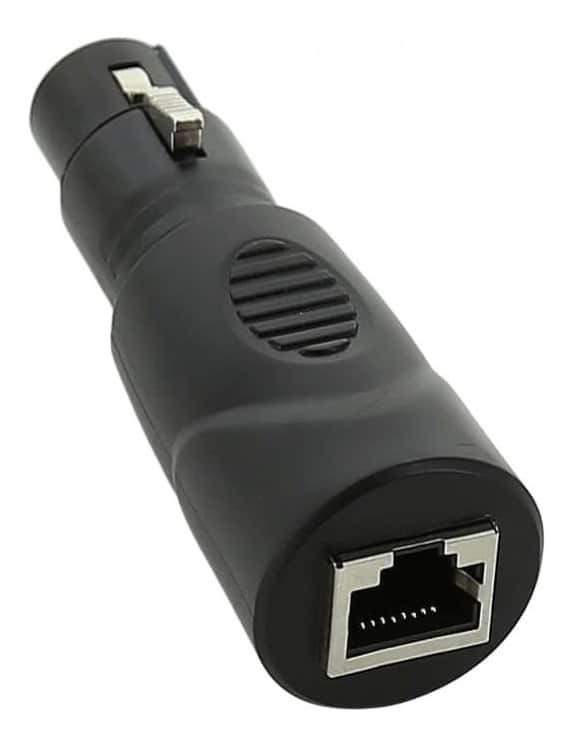 male or female - with these well built, robust adapters, combined with SWAMP's 3-pin to 5-pin, or 5-pin to 3-pin cables, you can build a solution in seconds! 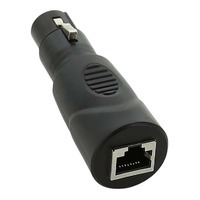 The CXA adapters come in two versions: 5-pin female or male. 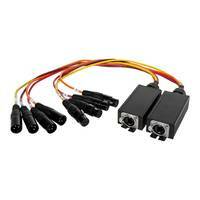 They can be mixed to make 3-pin to 5-pin cables. 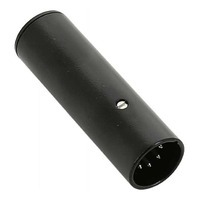 The adapters are well built, with rugged molded housing and non-slip finger grips.